Welcome to the National Association of State Archaeologists. This site provides a directory of State Archaeologists for the United States and its possessions. 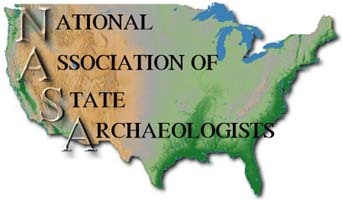 State Archaeologists can answer questions regarding laws, procedures, current research, educational programs, and other aspects of archaeology for each state and possession. Many State Archaeologists can be contacted by email, and some State Archaeologists maintain their own web pages which can be reached through this site. Just click on the states you are interested in. If you would like to comment on this site or update a state file, contact Mary De La Garza. Thanks for visiting! on the Send Form button and we will have your web page updated as soon as we can. Thank you for your cooperation and for updating us on your current information. We will make changes to your web page as soon as possible.